Asthma is a condition that causes the airways to tighten, swell, and produce mucus because of factors in the environment. This causes difficulty breathing. Asthma is very common in New Zealanders, especially in children. While many children grow out of asthma, others keep having problems as adults. It is important that you and your child (as they get older) understand asthma, and how to control and manage it. Usually children under the age of 1 are not diagnosed with asthma. This is because many of the symptoms – wheeze, cough, and shortness of breath – are caused by viruses in this age group. Most children under 1 with these symptoms don't go on to have asthma. To learn more about asthma in children, see the links below. Does my child have asthma? If you think your child has the signs and symptoms of asthma, or if you are worried about any aspects of your child's health, make an appointment with your general practice team. 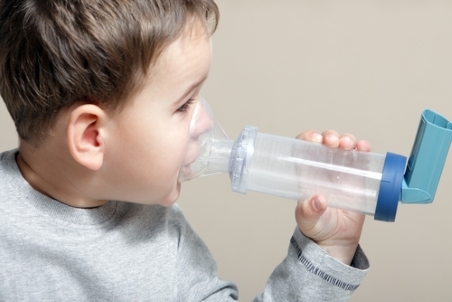 Information about asthma in children including its signs and symptoms, and triggers. Space to Breathe is a New Zealand government website where you can learn about asthma and how to take care of it. The Asthma and Respiratory Foundation – What is asthma? The Asthma and Respiratory Foundation provides support, information and resources for people with asthma and other respiratory conditions. Written by HealthInfo clinical advisers. Last reviewed May 2017.